Your online security depends on maintaining your PC virus free, using secure passwords, and making sure your old equipment does not have recoverable information when you dispose of it. We are told for security to use long (more than 8 characters) passwords that include Capitals, numbers and symbols; not to use a single word that could be in online dictionaries; not to use the same password on different sites; and not to write them down. Most 8 letter passwords could be cracked in a few seconds. Good: 6%tools%CATTLE$$	- combines numbers, symbols, upper & lower case - 16 characters. Unfortunately different sites have different requirements for passwords. Some allow spaces, many dont, some force the use of digits and upper case, or will not allow more than 8 characters. So a common strategy which would help you remember them is not feasible. Also, of course, if you FORGET such a password its a major problem! So one way or another you need to keep a secure record of your password for each site. Password managers: There are password managers - indeed some are free. I don't choose to use these because I dont feel "in control". If the password manager software fails I'd lose my passwords for important sites. Also if I need to access sites from another PC, I can not access my passwords. Store important passwords on a secure document: This is my chosen approach. I open a document in WORD or (better still) OPEN OFFICE / LIBRE OFFICE and list my passwords and log in details like this:. When my list is complete I save the document. But not yet - here is the trick. You need to ENCRYPT the file with a password. Its easy. In WORD: Click the "Office" Button (top left of the window) and choose "Info" or "Prepare" depending on your version. Choose "Encrypt document" and add a SECURE, MEMORABLE password. Its the only one you will need to remember. Save as a WORD document. Again, use a SECURE, MEMORABLE password. Now you can keep copies anywhere you like - even give them away - because without that password they can not be read. Keep a copy on your google drive and you can access it anywhere - and Open Office runs on Android as well as PC. An example file passworded "billybob" had its password cracked in about 30min on an average PC - so pick a good secure memorable password!. You can check the level of your password security here - but MAKE SURE the site address is correct before you enter a password. For "unimportant" log-ins - forums etc - I use a common password that I can easily remember and type. A simple way to do this is to follow a pattern on the QWERTY keyboard - such as Xde4%tgh. Sooner or later you learn the value of backing up your data - onto CD, DVD, memory stick, or the cloud (Dropbox, Google drive etc). However when your PC breaks down its too late. Music, videos, downloads, etc are replaceable, but your photographs and documents may not be. Depending on the nature of the fault and the value of the data we can often recover at least some of your files from a faulty or failing hard drive. Early intervention is always best - if you suspect you have a problem please contact us. For "mission critical" data you would need to use a specialist (=expensive) service if the drive was badly corrupted. The only parts of a PC (or laptop) that maintain a record of your data are the hard drive(s), and ( if present) any installed memory cards or connected flash drives. All other information "evaporates" within a few seconds of the PC being turned off. There are several strategies for ensuring that secure data can not be recovered from your hard drive, depending on whether or not the system is still working, whether it is to be sold on, and whether on-site (i.e. supervised) destruction is required. The quickest, simplest and easiest procedure is to delete only the file or folder of data. However just clicking "delete" only moves your file to the recycle bin. Emptying the recycle bin will hide the data from the average user; however its often still easily recoverable. Secure deletion requires the use of additional software (such as Microsoft's SDelete) to ensure the file is not recoverable. Skillbank can offer this as an on-site service. 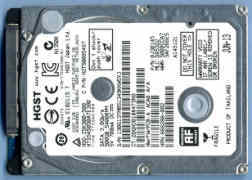 Format the drive - quick but not secure. Use a secure deletion software to overwrite ALL the drive - secure but VERY slow - up to 24 hours. However this process does not require attendance. Remove the hard drive, install or connect to a working system, and use a secure deletion software to overwrite ALL the drive. Even if the drive will be destroyed mechanically its best to do this first. Mechanical processes: These rely on total destruction of the drive. Sledgehammer: drive enclosures are very robust, this isn't recommended. Open drive case, remove the media, and score with a scriber, drill holes, or scarify with emery paper. Data can not then be recovered except with equipment only available to security services. Destroy disk with specialist equipment (shredder) - there are mobile services that do this. 100% secure. This should be securely deleted as described above. The important thing is to make sure that undeleted flash memory does not escape from your control.